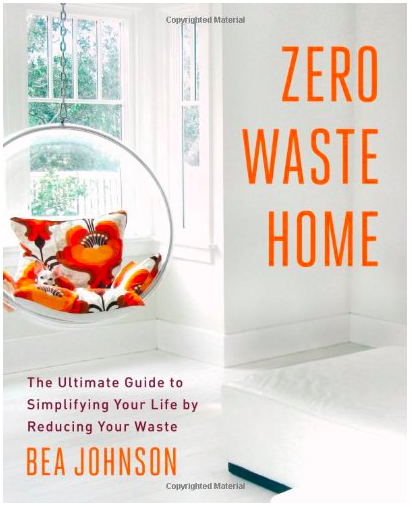 We recently had the opportunity to interview the incredibly inspiring Bea Johnson, best-selling author of Zero Waste Home: The Ultimate Guide to Simplifying your Life by Reducing your Waste and founder of ZeroWasteHome.com. As an author, speaker and influencer, Bea is truly a tour de force and has been called “The Priestess of Waste-Free Living” by The New York Times and “…a guru for people looking to take green living to a new level” by the Associated Press. Bea and her family have been producing a single jar of waste per year since 2008. 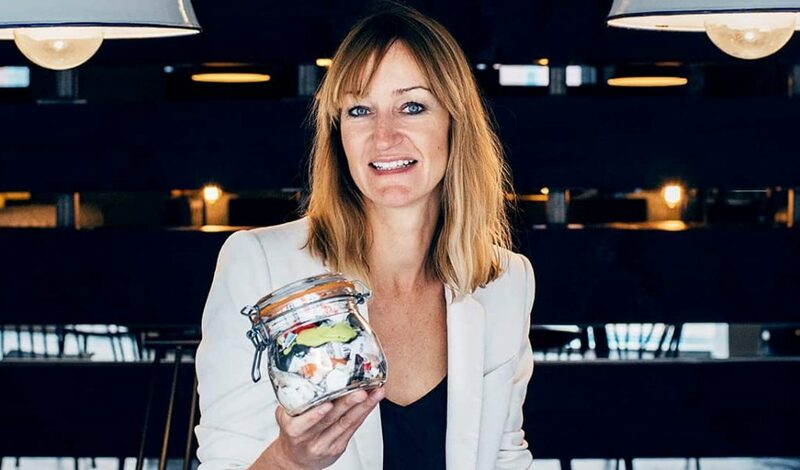 With her passion and positive outlook, Bea initiated the global Zero Waste movement and has become the spokesperson for the waste free lifestyle. She inspires a growing community to live simply and take a stand against needless waste through her 5 “R”s: Refuse, Reduce, Reuse, Recycle & Rot. She shatters misconceptions, proving that waste-free living can not only be “stylish”, but also lead to significant health benefits, and time and money savings. Bea is a French native currently living in California with her family. – How she got the motivation to change her ways when thinking about the future that they were creating for their children. 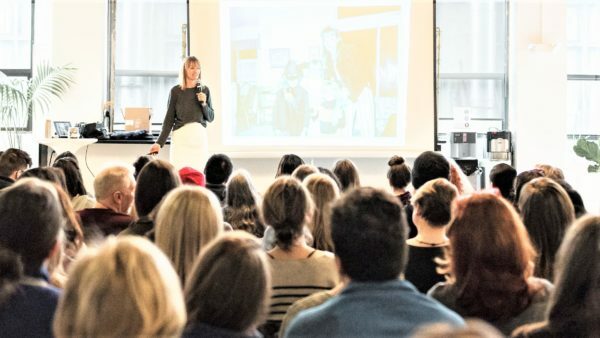 – That when she first started, the term “Zero Waste” was only associated with manufacturing or municipal waste management, not for something done at home, there were no guides for how to live a Zero Waste lifestyle, she had to test a lot of concepts, some very extreme, and eventually found a long-term system that worked for them! – The 5 “R”s of a Zero Waste lifestyle [in order]: Refuse, Reduce, Reuse (there is a reusable alternative for everything on the market – even condoms! ), Recycle (only what you cannot refuse, reduce or reuse! ), Rot (composting). – The influence of her parents and the skills they taught her when young (cooking, sewing, etc.) on the Zero Waste lifestyle! – That most people are afraid of the Zero Waste lifestyle because they do not know what is associated with it – common misconceptions of the Zero Waste lifestyle are debunked. – That it’s not only good for the environment, it’s also good for financial savings – they saved 40% on their budget by going Zero Waste! – Most importantly, that it’s an improved standard of living. Thanks to this lifestyle, they discovered a life that is based on experiences not things, on being instead of having! – That in order to live waste-free, you DO NOT have to make a bunch of things, Bea personally does not make everything homemade! Zero Waste is about adopting a SIMPLE lifestyle. – How Bea raises her children on a Zero Waste lifestyle – they’ve lived longer with this lifestyle than without so it is completely normal to them! – That although Bea and her family started for environmental reasons, they have been able to do it for as long as they have because of the improved standard of living they have discovered, the healthier lifestyle, the financial savings, the time savings! Zero Waste lifestyle does not deprive, it opens your mind and eyes to a whole new way of living with a multitude of advantages! We’d love to hear your comments! Would you ever try living Zero Waste? If so, tell us about your experiences in the comments below!